PECG provides a variety of discount services to its members. The following benefits are available online after logging in on the password-protected members only section of this website. Please call the PECG Sacramento office at (916) 446-0400 to acquire a member password if you do not have one. The Little Theme Park That’s Big on Family Fun! For over 15 years Adventure City has been Southern California’s premier theme park for affordable family-time fun! General Admission includes unlimited use of all 17 rides, shows, and most attractions. Two Parks for the Price of One!! Exclusive Ticket Savings! Purchase Single Day Admission Tickets for just $38.00 each*. Ticket includes all day admission to California’s Great America and Boomerang Bay water park. The Gold Season Pass for only $93 each* (subject to change). The Gold Season Pass includes FREE General Parking and Halloween Haunt at Great America, plus admission to Gilroy Gardens. Tickets must be processed at Great America before visiting Gilroy Gardens. The Gold Season Pass – Adult is for ages 3 & up, or 48” or taller. *A per order service fee applies. Discounted ticket prices for PECG members are $12.99 — includes all day Unlimited Rides, Unlimited Mini Golf, and Buccaneer Cove. Buccaneer Cove is seasonal. Children must be at least 36″ tall to ride. You can order and pay for tickets online, it’s that simple! NOTE: As of September 2016, Disneyland no longer offers discounts. 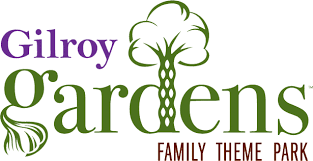 Designed especially for families with young children and garden lovers. Over 40 attractions including unique gardens, educational, exhibits, rides, restaurants, games and of course their world famous collection of Circus Trees! The park is designed to educate and to foster a greater appreciation of horticulture and man’s ability to shape it. As of February 2017 Knott’s Berry Farm tickets are available for purchase through Working Advantage, which can be found on the Other Attractions tab. LEGOLAND® California Resort is turning twenty and it’s time to celebrick! Our 20th Birthday will be a yearlong celebration full of birthday-themed entertainment, special offers and fun surprises; including free admission to children under twelve on their birthdays! But it doesn’t have to be your special day to join the party, our 20th birthday is the perfect way for the whole family to enjoy LEGOLAND California Resort. Looking for some party activities? This year, we have many great ways for everyone to join in the festivities. You can party down in the toddler-geared DUPLO® Playtown Play Area, opening this May at the ridge. Join our local LEGO® City Police Officers in a crazy 4D chase across town with the brand-new LEGO City 4D Movie: Officer in Pursuit opening this April. Dive into the LEGO CITY: Deep Sea Adventure submarine ride where you can view real fish from a real LEGO submarine, and conquer an interactive LEGO treasure hunt along the way. LEGOLAND California Resort has more than 60 rides, shows and attractions including the SEA LIFE aquarium and the LEGOLAND Water Parks. For the ultimate LEGO experience, stay overnight at one of two themed LEGOLAND Hotels located right at the main entrance of the park. LEGOLAND only turns twenty once, so get to LEGOLAND California Resort today and start the celebration! Use the special Partner Portal and receive a discount of 33% off adult and 25% off child admission. Pacific Park is the Family Amusement Park on the Santa Monica Pier AND LA’s Only Admission-Free Amusement Park! Pacific Park has a dozen rides, midway games, ocean front specialty food outlets and seaside shopping. Raging Waters Los Angeles is California’s largest waterpark! The 60-acre park has been recognized by USA Today as a “Top 10 Water Park” and is home to more than 50 world-class attractions for all ages to enjoy, including Aqua Rocket, the state’s only hydromagnetic water coaster! Open mid-May through September. Get up to $16 off a season ticket. Raging Waters Sacramento offers discounted single day admission tickets and season passes. Season passes include NO black out dates and unlimited admission to the California State Fair. Raging Waters San Jose offers a number of package discounts! Get $2.00 off on regularly scheduled trains! 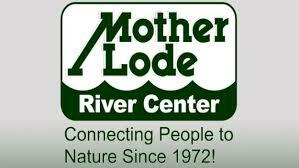 Be sure to check out the “Events Page” for a listing of our upcoming events. (Easter Egg Hunt, Model Railroad Exhibit, Civil War Battles, etc). Save $7 off Admission by purchasing your tickets online through Critter ConnecTix. Summer goes fast — don’t miss out on exclusive savings at the Santa Cruz Beach Boardwalk! Purchase a Rides + MyBoardwalk Card Combo package online and save up to $19. The exclusive package price of $45.95 plus tax includes unlimited all-day rides wristband AND a $25 MyBoardwalk Card good towards Attractions, Arcades and Midway Games. America’s only combined marine life, wildlife and wild rides theme park – delivering Northern California’s best family entertainment experience. Discount Tickets and Daily Ticket discounts are available for PECG members. Save on Good Any Day Tickets, Season Passes, or get low priced Meal Deals at selected restaurants inside the park. Members also enjoy a two-hour Dolphin Swim for $99.99, an interactive program that includes a rare hands-on learning session. Six Flags Magic Mountain is the place to go big 365 day a year! Soar to new heights with epic thrill rides, holiday events, and more! The best part? Magic Mountain is open every single day! Tickets only $55.99 per person through September 15, 2019 (Save $34 off General Admission). Get ready for the ultimate Hollywood movie experience! Go behind the scenes on the world-famous Studio Tour to explore real film sets where Hollywood movies are made. Then face action head-on in heart-pounding rides, shows and attractions – including Despicable Minion Mayhem – that put you inside some of the world’s most popular movies and TV shows. Explore the mysteries of Hogwarts™ castle, visit the shops of Hogsmeade™ and experience Harry Potter and the Forbidden Journey™ in The Wizarding World of Harry Potter. Plus, join Master Po in an all-new multi-sensory attraction at DreamWorks Theatre Featuring Kung Fu Panda, now open. Specially Discounted 1-Day Tickets, Passes and Universal Express™ tickets are available! HARRY POTTER character, names and related indicia are © and TM Warner Bros. Entertainment Inc. Harry Potter Publishing Rights © JKR. (s15) © Universal Studios. All Rights Reserved. A Division of NBCUniversal. Purchase Waterworld California Single Day tickets, Season Passes, and more at prices not available to the general public. 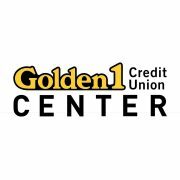 PECG members will get access of up to 50% off of Sacramento Kings games as well as certain Golden 1 Center Arena Shows. Through discounted links throughout the season, you and your family can enjoy Sacramento’s only professional sports team at a reduced rate! Don’t miss the exciting arena shows coming to Golden 1 Center! As a valued member of PECG, we wanted to give you access to the below discount offers exclusive just for you. Save up to 40% and avoid Ticketmaster Fees through the links below. * Please feel free to share these offers with your Friends and Family. Located on San Francisco’s iconic waterfront, Aquarium of the Bay provides unforgettable encounters with local marine life that inspire both wonder and conservation. 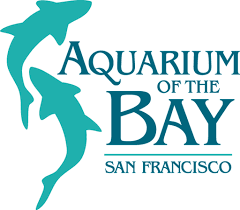 We are a division of bay.org, a 501(c)(3) not-for-profit organization, and are accredited by the Association of Zoos & Aquariums (AZA) and certified as a Green Business by the city of San Francisco. With your visits, you are helping to conserve and protect the San Francisco Bay and the animals you meet. Our mission is to protect, restore and inspire the conservation of San Francisco Bay and its watershed, from the Sierra to the Sea. Your ticket purchase helps fund our work to protect our local coastal waters, delta, rivers, wetlands and all the wildlife that call this place home, as well as our teaching initiative which provides more than 25,000 young students with education programs each year. Eighty-eight cents of every dollar goes directly to fund our mission and education programs. Get 20% off general admission tickets when purchasing through PECG. Good for up to 9 tickets. Take a journey of discovery at the Aquarium of the Pacific in Long Beach. Discover more than 11,000 animals and nearly 500 different species. Explore our exhibits and discover sunny Southern California and Baja, the frigid waters of the Northern Pacific, and the colorful reefs of the Tropical Pacific. Come face-to-face with and even touch the ocean’s ultimate predators in Shark Lagoon, hand-feed colorful lorikeet birds, and watch our Magellanic Penguins play. Get closer to our animals than ever before at the Bonnethead Shark and Cownose Ray Touchpool, the Horseshoe Crab Touch Lab, and an immersive exhibit on the Southern California Steelhead. With affordable prices and an entertaining AND educational experience for the whole family, there is no better time to visit the Aquarium of the Pacific than now. Open year round! So much to see at the world’s only aquarium-planetarium-rainforest-living museum. Visit the California Academy of Sciences in San Francisco website to view information about admission, hours and current exhibits. Circus Circus Reno welcomes PECG Members to their Execuline One Club. Only PECG members receive guaranteed discounted corporate room rates, complementary airport shuttles, and other offers. Stay in the North Tower Deluxe Room for just $50.00 midweek, or $85.00 Friday-Saturday from January 1 to June 15, 2019. Stay in the North Tower Deluxe Room for just $52.00 midweek, or $115.00 Friday-Saturday from June 16 to December 31, 2019. Get 40% all trips for PECG members. Davey’s Locker offers year round 2.5 hour whale watching trips out of Newport Harbor in Newport Beach, CA. Located just 20 minutes away from Disneyland. PECG members get substantial discounts via the Golfland VIP Club — get discounted tickets and passes for the Golfland family of parks all over California! Discounts now available at GolfLand Sunsplash Roseville! New single season passes are available through the VIP Club. VIP season passes are $15 off the price of a new season pass and $10 off a renewal. Daily waterpark tickets will be in your online ticket store in May for $26.00 (regular price $32.99). 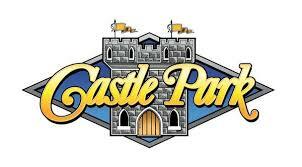 We also have great discounts for Mini Golf, Lazer Tag and Fastcars! Discover the wonders of the Aquarium! For more than 30 years, the nonprofit Monterey Bay Aquarium has been the standard by which all other aquariums are judged. Home to nearly 35,000 animals and plants, the Aquarium is a showcase for the sea life of one of the world’s richest marine regions, from sea otters and jellies to sharks, sea turtles, octopuses and hundreds of other species. Changing special exhibitions, hands-on activities and lively daily programs make the Aquarium a must-see attraction for all ages. Save up to $10 per person on a one-day trip and up to $25 per person on a two-day trip. Additional group discounts are also available. Ascend two and one half miles to a pristine wilderness aboard the World’s Largest Rotating Tramcars. 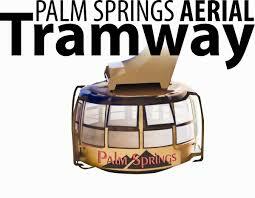 Ascend two and one half miles to a pristine wilderness aboard the World’s Largest Rotating Tramcars. Great work perk provides online discounts to amusement parks, restaurants, movie theaters, spas, sporting events, & so much more! New discounts are added weekly! PECG employees can now take advantage of exclusive discounts and special offers to popular entertainment attractions and services nationwide! Discounts are available to theme parks, movie theaters, water parks, ski resorts, sporting events, concerts, hotels, car rental and much more! Enjoy the convenience of 1-stop shopping online and the great savings. A Valuable Discount Ticket Program for PECG Members!!! Visit Tickets 2 Fun and take advantage of discounted tickets to Theme Parks (Six Flags, Sea World, Knott’s Berry Farm, etc. ), Movies (AMC, Regal, etc. ), Outdoors Activities (Skiing Packages at some of your favorite ski resorts, fishing, etc. 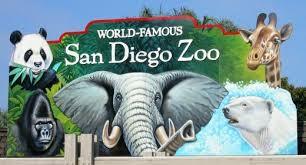 ), Museums, Water Parks, Dinner Shows, Zoos and Aquariums. Wild at Work offers discounts and special offers on travel, entertainment, shopping, dining and services. Current offers include discount tickets to Disneyland, Universal Studios, SeaWorld, Six Flags, Knott’s Berry Farm, San Diego Zoo, LEGOLAND, special rates with Endless Vacation Rentals, Wyndham Hotels, Grand Canyon Railway and many more. PECG members have exclusive access to the Working Advantage discount program which allows you to save up to 60% on movie tickets, theme parks, ski resorts, hotels, museums, zoos, attractions, theater events, shopping and gifts! Access to the hottest consumer and commercial products, including customized PC options, student bundles, and third party accessories. Dedicated support for premium products; Includes in house-call & accidental damage protection. Based in Loomis, this company offers discounted prices of up to $1500 on installed solar electric systems. PECG members through the state receive a discount off the final price for installed solar electric projects on their homes of $750 off for installed systems 4.99 kW DC or smaller or $1500 off installed systems of 5.0 kW or larger. 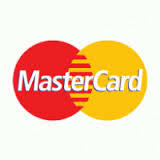 Obtain a MasterCard through Chicago’s Amalgamated Bank (upon credit approval). Specialty pricing for all PECG members for moving and storage services. 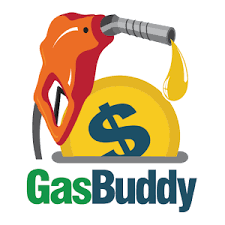 Get the best prices for gasoline – visit www.gasbuddy.com for details. ScholarShare, a California official 529 college savings plan, can help you save for higher education expenses. The ScholarShare College Savings Plan is California’s tax-advantaged 529 plan, open to everyone. It’s sponsored by the ScholarShare Investment Board, an agency of the State of California, and managed by Fidelity Investments. For more information, visit www.scholarshare.com. SeniorPerk provides seniors and their families exclusive discounts and services to better their everyday lives, health, wellness and leisure. Their products range from hearing aids and home medical alert devices to home and device warranty and travel or cruise discounts. They understand the growing caregiver demand in the employee space and want to make the transition for seniors and their family as seamless, affordable and enjoyable as possible. 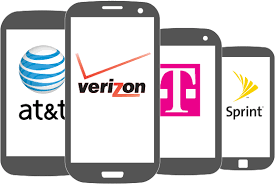 Most wireless phone services offer discounts of 15% on service and products to state employees, upon request. 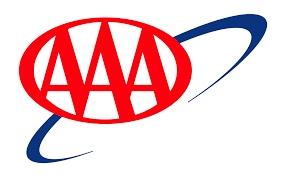 Save $10.00 when you join the AAA Auto Club! Special Group Discount on NEW AAA memberships in California for only $60, normally $70. SuperShuttle and ExecuCar offer some of the lowest airport transfer rates in the nation. 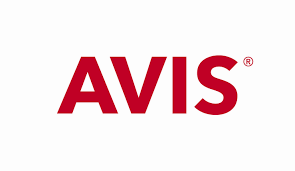 Your discount gives you an even lower rate for services in all 33 of our US airport markets and is good on all SuperShuttle and ExecuCar reservations that are made and paid online. Your discount gives you 10% of your roundtrip reservation made and paid online. Discount does not apply to exclusive vans or pre-existing reservations. Discounts cannot be applied retroactively. Alamo members save up to 20%. With self-serve check-in you can skip the counter, check-in at the kiosk and drive away. All you need is a valid driver’s license, major credit card and an existing reservation. Discounts vary depending on your rental. Make a reservation using PECG’s Budget Business Program account and receive a free upgrade. 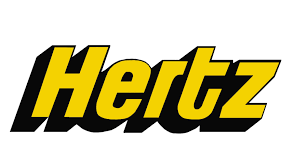 Use your PECG Discount when you visit www.hertz.com for discounted rates: Up to $15 off a weekend rental, $20 of a weekly rental, or 2 free days of SIRIUS radio on your rental. As a member, you’ll get up to 5% off rentals at National Car Rental.